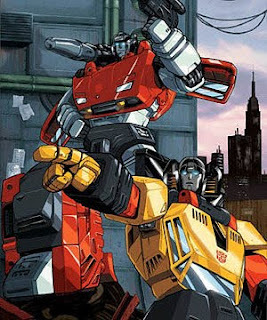 Sideswipe is nearly the equal of his twin brother Sunstreaker, in combat arts, but less cold-blooded. Relishes a fight to the finish with an opponent. Uses underhanded tactics when absolutely necessary. Arms act as powerful pile drivers. Flies for up to 2 minutes with rocket backpack. Fires flares visible for 18 miles. Rash actions often lead to injuries to himself. Takes them all in stride. That’s right. It says Sunstreaker is his brother. Robot brothers. Something about the ridiculousness of that enthralled me as a kid. They were robots and brothers!! 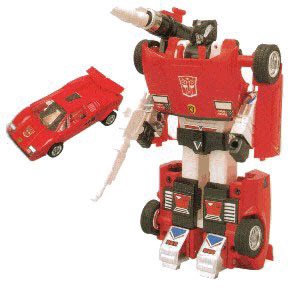 Sunstreaker was also a Countach although his toy used a different mold so even in car mode they looked different. The most current version of the toys used the same mold but had them transform differently so the robot modes wouldn’t look the same. I thought it was a nice touch. But wait, the family relation didn’t stop there. In Japan wave 1 and 2 of the Transformers came out at the same time. And over there Red Alert was Sideswipe’s brother. They were the same toy mold. 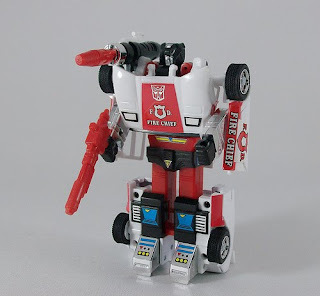 Red Alert was just painted differently and had a light bar added to the top of his roof. Because you know, firemen drive Lamborghinis. So maybe he’s a stepbrother? Over the years the comics have explained how they terms can be used with sparks and protoforms, but I’m not going to jump into all of that here. 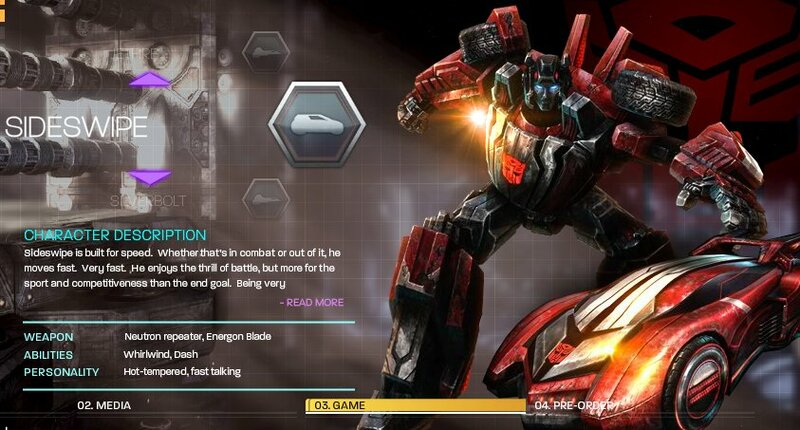 Sideswipe is the last person on my countdown that is confirmed in War for Cybertron. I won’t be able to play my favorite Transformer ever, but at least I’ll have a bot on each side of the war that I like. Sideswipe is a Scout class in the game, so he’ll be fast and fragile. Expect the countdown once more this week and it will wrap up late next week.